Below are step-by-step instructions for how to get a glowing face, any time of year, without changing your skin-care routine. 1. Dispense your usual amount of moisturizer into your palm. 2. Spray 1-2 sprays of the Spritzer directly into your palm. Begin with one spray (especially in the winter) and once you’re comfortable, move up to two sprays per application. 3. 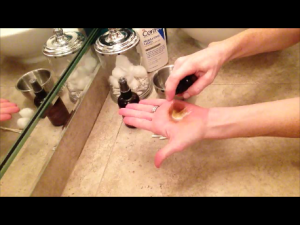 Blend together moisturizer and self-tanner in your palms. 4. Apply moisturizer to the face as you normally would. 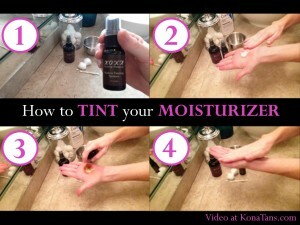 Add this additional step to quickly and very easily CONTOUR and HIGHLIGHT your face, using only sunless tanner and water. Did you try this yourself? If so, please tag #konatans in any photos you post – we want to see! P.S. Like what you read here? Just hit the “like” button below! That will help your Facebook friends find this message!